About maryline, it is not just diamond flask. Rare amulet does also add life and resists, which you got to pick somewhere else otherwise and you should know that crit is rolled once per multistrike, so with 55% crit you have decent chances to roll 2 non crit multis in a row. 70 effective crit is IMO most optimal. Higher hinders damage via overinvesting(mostly cause diamond starts to give less effective crit) and lower brings inconsistency, which is whatever at bosses, but at clearing it is really noticable and annoying. I like the build concept. Any chance you can include some gameplay videos? Curious about the speed. forget about cyclone, put frost blades in 1 and blade flurry in another. You don't need tabula for lvling. Victario boots and karui ward are nice, just cap your resists and gain life with other gear. Mana mod will go when i hit lvl 7 on Haku (closest). Gloves for Iron Grip becaause Projectiles (maby im wrong so pls correct me). Second just in case actually because spell dmg. Before i played mainly casters and for moving i used Flame Dash but with this i will test Leap Slam for moving. A friend suggested that to help buying less expensive yellow armors, or lightning coil users, and give more flexibility with getting dps jewellery. dmg is pretty nutty during lvling. I had maligaros, so i lvled being crit based from like lvl 25. Rest gear was all all self found and everything went smooth. Have to agree with you on the 70% base crit chance for consistency. I don't have any videos for the build but the clearing speed is definitely good. Cyclone + Frost Blades work really well when you handle abyss. I prefer Leap Slam because you can jump across terrain. Whirling Blade is fine for the build too. For smoother mobility, you can link Faster Attack gem to it. Gonna try that Cyclone and see how it will work because i like test options and pick ones that are best for me. 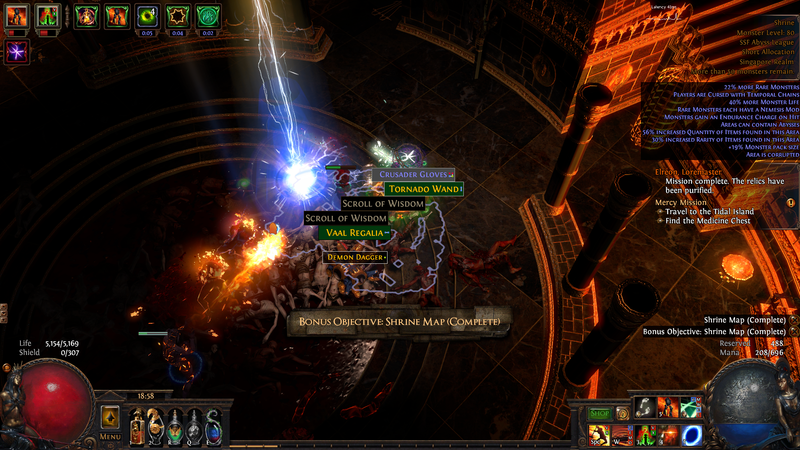 Also i always put 5 points on those 3 + sentinel nodes because od elem resists and jewel slot. Alright, looking at the numbers in POB it seems slower to what im playing now. Maybe it would be a fun project nonetheless. Always liked cyclone but never played it to endgame. Love BF though, but have played it in every league since it was released. Might try some FB. Maybe someone else that has gotten to endgame can post some vids of map clear?